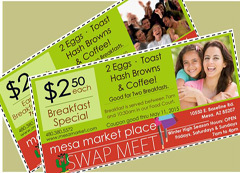 Mesa Market Place is ever-changing and always exciting. 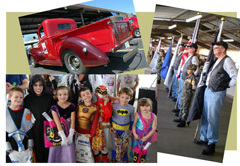 Many of our merchants have been here for decades and you can always count on them to be here! They keep updating their merchandise so along with all the things you love to buy from them, you’ll see new wonderful things to delight you. And… in the midst of our best merchants are tantalizing and cutting-edge merchants, ready to share their booty, discoveries they gladly bring to our market place. You never know what to expect…. 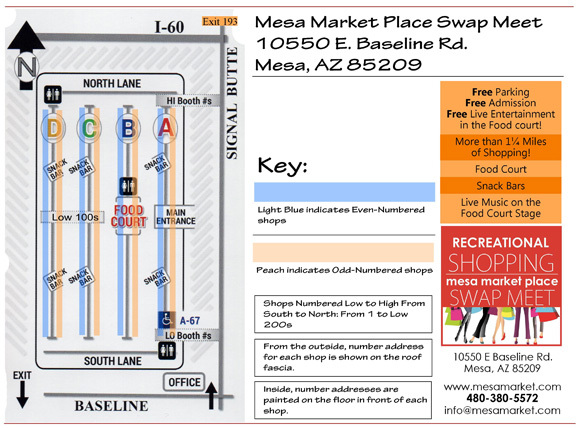 Just know you’ll have the best ‘Recreational Shopping’ Day ever, when you come to the Mesa Market Place Swap Meet. Click on the map below, and you’ll get a printable copy, to help you find your favorite merchants, and to help you remember where your ‘new favorite’ merchants are!